Put a few musicians together and something will happen. That's probably what the jazz collective Snarky Puppy around bass player Michael League must have thought when they started their "Family Dinner" project. For the first edition a few years ago they brought some singers together in combinations that you wouldn't expect. It resulted in something very nice and they wanted to repeat the idea. But this time no only singers were invited, but also other musicians. They chose for New Orleans to compose the songs in six days, performing them live afterwards. 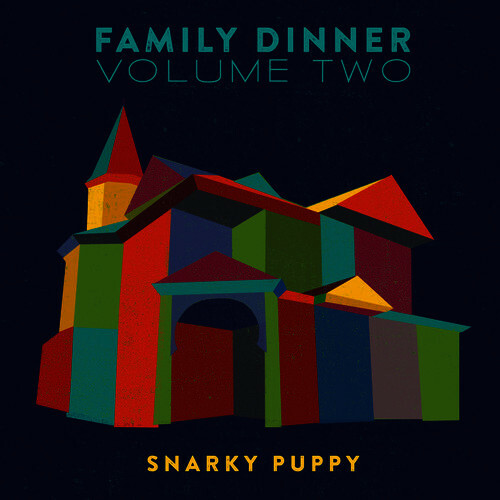 It eventually resulted in Family Dinner Volume Two with eight very varied compositions, that are all beautiful in their own way. And so on 'Soro' you can find Malinese singer Salif Keita together with two Brazilians, flute player Carlos Malta and pandeiro player Bernardo Aguiar. The result is a beautiful song that starts melancholically with lush vocals by Keita and then turns around in a swinging exotic mix halfway, propelled by the two Brazilians. On 'Don't You Know' multi-instrumentalist and boy wonder Jacob Collier goes crazy with sousaphone player Big Ed Lee, a mind blowing track of more than 10 minutes. It keeps on going with dizzying and sparkling play by Snarky Puppy and the queer, but successful combinations. Laura Mvula together with organist Michelle Willis in the dreamy 'Sing To The Moon', triple Grammy winner sax player Jeff Coffin with the electronic duo Knower in a swinging combination with a nice funky sax solo by Coffin. As dessert no one less than David Crosby can close the record in the modest song 'Somebody Home', that he introduces himself with a good sense of humour. Snarky Puppy's musicians once again prove how talented they are and that they know exactly what a song needs. With all these different artists and styles, that result in different compositions, they make sure it still stays coherent. That in itself already is quite an achievement. A lot of enthusiasm and good vibes added to the mix makes Family Dinner Volume Two a feast for your ears. 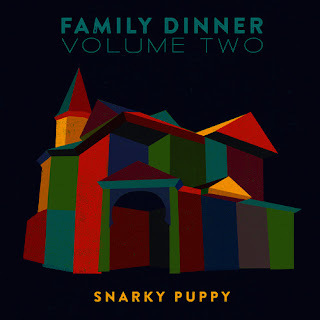 Listen to 'Family Dinner Volume Two' on Spotify.